This set features extremely detailed likenesses of the leaders and their personalities. The set has a darker stain than on other sets of this type. The largest doll is 13" tall with a base of 4.5" in width. 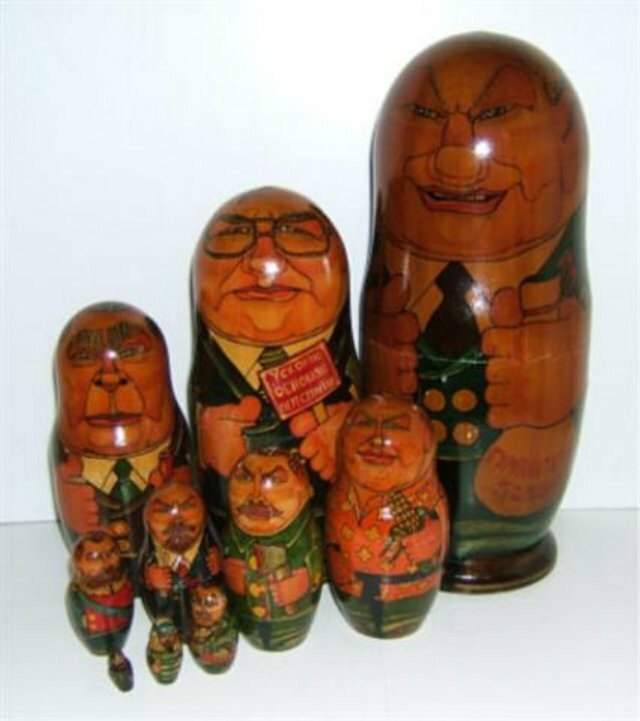 The bottom of Krushchev tends to stick in the bottom of the Brezhnev doll.